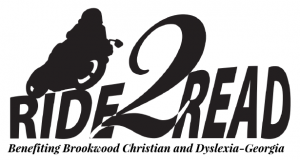 To honor of National Reading Month, Brookwood Christian will be having its very first charity motorcycle ride on March 24, 2018. The ride will be lead by Acworth’s very own Chef Henry and proceeds will benefit the school as well as IDA-Georgia. More details will be posted soon. Click here to link to the event on Facebook. Previous Previous post: Picture Day! Next Next post: Buy your tickets!